"Hauntingly beautiful…What’s remarkable about “The Third Murder” is its density (so many provocative themes bubbling beneath a placid surface); intensity (conversations between lawyer and client, on opposite sides of the glass, are truly spellbinding); cast of intriguing characters (the factory owner’s wife and daughter, the lawyer’s own daughter, who shocks him by producing tears of ostensible grief on command); shimmering ambiguity (although the climactic scene, if I read it right, carries intimations of clarity); and formal elegance (the CinemaScope format of Mikiya Takimoto’s cinematography gives those detention-center conversations an expansive gravity)…It’s the work of a contemporary master who arrives at the philosophical by way of the playful, ironic and lyrical. " "A crime drama like no other…Does the world need any more reminders that Hirokazu Kore-eda is one of its greatest filmmakers? " 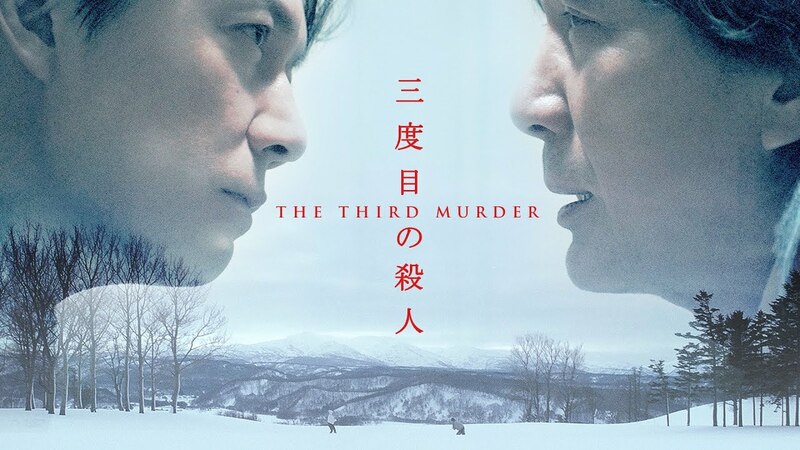 "Mystery skirts metaphysics and a courtroom turns out to be no place to determine the truth in Kore-eda Hirokazu's mysteriously beautiful The Third Murder. ...Though different in feeling from the Japanese writer-director's perceptive family tales like After the Storm, it has the same clarity of thought and precision of image as his very best work." "...a powerful, intricately constructed meditation on the mysteries of the heart, the elusiveness of truth and the injustices of the Japanese justice system, in which the scales are tipped in favor of the prosecution. Koreeda’s film ... is a masterpiece." "Sleek and suspenseful, deceptive and profound, The Third Murder is an artful addition to the canon of modern-day crime drama, one whose core mysteries encompass more than just the case at hand." "...The Third Murder merits comparison with the finest films on the subject of justice." "A dark, ambiguous courtroom drama...technically splendid…Kore-eda, one of cinema's premier directors, never falters during The Third Murder. "